With over 5 years in development, the new patented ECOmposter incorporates the best of known technologies to create top grade compost in as short a time frame as 4-6 weeks. 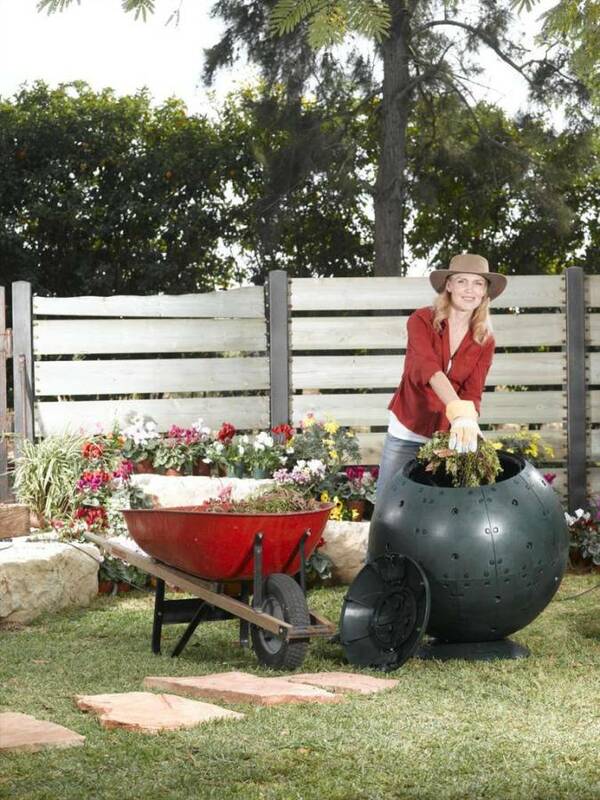 The spherical shape, the air induction tubes, the optional base, and the dark forest green color help promote the 4 key elements of composting while making it fun for the entire family. 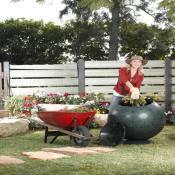 The nutrient rich compost can be added to all gardens and potted plants as a natural fertilizer. This unique composter is made of 100% recycled and recyclable materials and creates nutrient rich compost in as little as 4-6 weeks! Designed to handle all compostable yard, garden, and kitchen waste, the ECOmposter has a sturdy and attractive design with easy open tops (smaller opening inside the larger opening).